Stretching is an important part of any exercise plan and is often neglected in favour of strengthening and aerobic exercise. Stretching a muscle isn't about challenging it. Stretching creates length between the two attachment points of a muscle to release tension and keep the muscle from becoming shortened and prone to injury. How many excuses can we come up with to avoid doing exercise, even though we know we will feel better for it afterwards? 1. Choose your Goal. To achieve you have to know what it is you're aiming for. 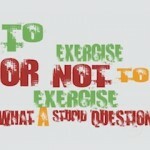 Why do you want to exercise? Perhaps it helps your back or you want to get toned for your holiday. Reminding yourself of your goal each time you procrastinate is motivation in itself. This isn't a title one expects from me as fat isn't generally associated with healthy living. The "Food Programme" on Radio 4 last week, titled "A Fat Lot of Good" revealed how scientists have come up with data showing that saturated fats aren't the demons we are all led to believe. Dr. Michael Mosley has recently looked into how the composition of saturated and polyunsaturated fats change when heated with food. He collected oils after cooking and sent them off to a laboratory for analysis. 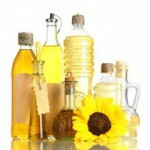 The results showed that some oils produce high levels of dangerous aldehydes. 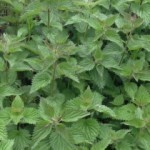 I recently went on a foraging course and have become fascinated by the varying uses of nettles. I'd heard of people making nettle soup and tea but it was all rather weird for me. However, one recent evening, when I realised that the cupboard was empty, I thought I would go and collect some nettles, make some soup and give it a try. Nettles apparently contain more calcium than cheese, more iron than spinach, more Vit C than any other vegetable so what could be more nutritous. Being edible doesn't necessarly mean 'tasty' though but I was prepared to see for myself.